Amen, MD., Daniel G. Memory Rescue: Supercharge Your Brain, Reverse Memory Loss, and Remeber What Matters Most. Carol Stream, IL: Tyndale House Publishers, 2017. 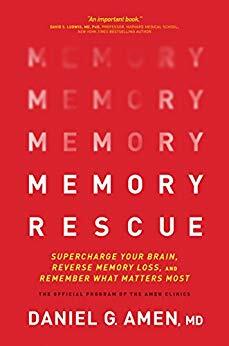 Using the plan of sharpening your memory and preventing Alzheimer’s Disease by eliminating, preventing and treating all of the risk factors associated with memory loss, Dr. Daniel G. Amen, in his newest book, Memory Rescue, shares his program. Under the Amen Clinics program which supports the acronym/ mnemonic BRIGHT MINDS for risk factors, he explains the importance of memory, provides a formula for preventing memory decline, supplies tips to boost memory as well as lots of correlating information. 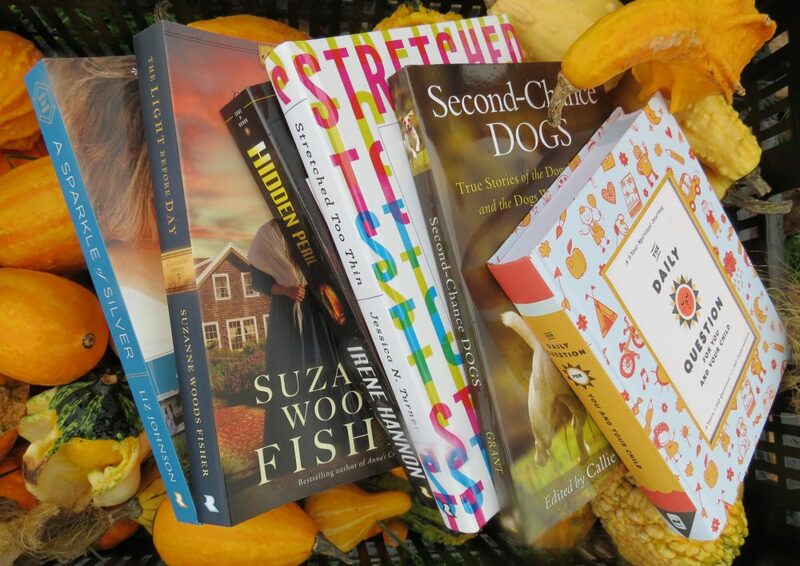 Filled with examples, encouragement, lists, tips, pictures, and ideas, this important book may change the way you live. First flipping through the pages and randomly reading excerpts within the book, I quickly realized I needed to read it cover to cover. Simple, straight-forward and educational, I learned so much from this book and realized I needed to make some changes. Already living healthy, there are some factors which I cannot change (age, genetics) but lifestyle decisions I can make to compensate for them (diet, sleep). An excellent resource for all, the importance of this book should not be overlooked. Definitely a book I will return to often for reminders and encouragement to continue fighting memory decline…thank-you for sharing, Dr. Amen!